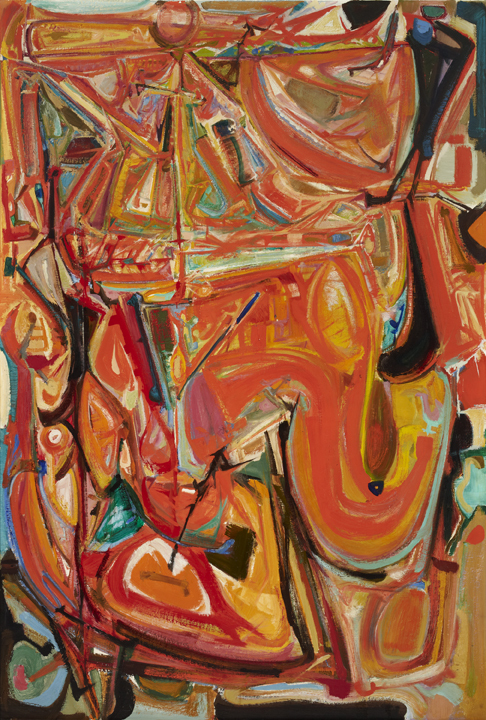 While a fall 1953 meeting at Alexandra Luke’s cottage officially launched Painters Eleven as Ontario’s first abstract painting group, their inaugural exhibition took place at Roberts Gallery in Toronto from February 13 – 27, 1954. The above quote is taken from the exhibition flyer; indeed, the group wasn’t interested in presenting a manifesto similar to the Automatistes’ Refus Global, but in seeking opportunities to show their abstract work to the public. The RMG has organized an exhibition celebrating P11’s first sixty years and has included early work by each of its members. The gallery’s first mandate emphasized collecting and exhibiting the work of the group and the RMG now has the largest collection of work by Painter’s Eleven, as well as an extensive archive. 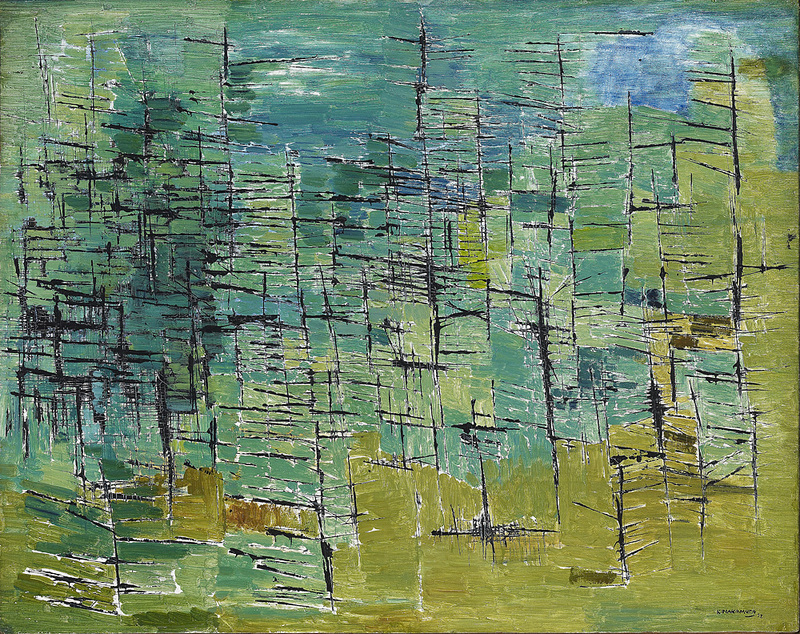 Four paintings from that first exhibition are part of the RMG permanent collection, including Forest by Kazuo Nakamura, Yellow Hydrant by Tom Hodgson, and Tumult for a King by Harold Town (a Varsity reviewer remarked, about the latter painting, that it was “rather violent, too violent perhaps”). ‘There is no manifesto here for the times. There is little harmony in the noticeable disagreement. After sixty years, the jury is back, and the verdict, is no doubt, positive.